There are some outfits that just stop you in your tracks, or should we say, pause your scrolling. Shiona Turini's innovative and unique outfit choices tend to have that effect. 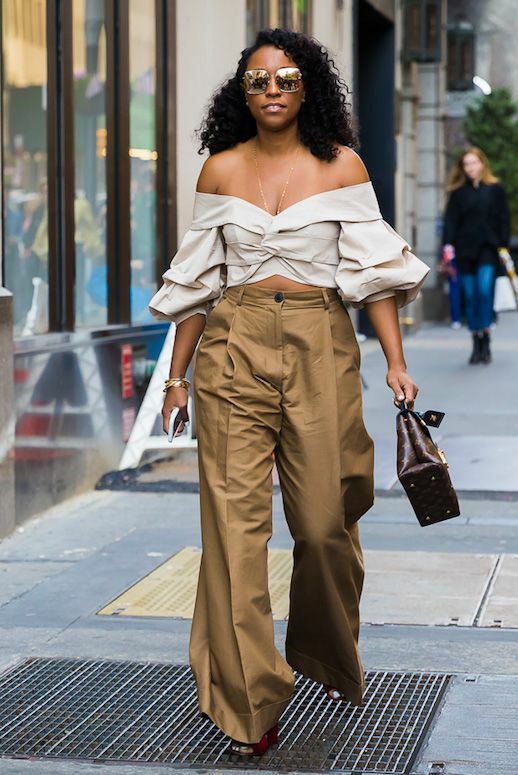 During New York Fashion Week (yes, we're still finding inspiration) she wore a neutral off-the-shoulder statement sleeve blouse with a hint of skin peeking through. On the bottom, her high waisted, wide-leg camel-colored trousers stole the show while her heeled red mules added a pop of color. Shiona, you can do no wrong.